Walker's Bluff salutes all Veterans, active or retired, for serving our country, with a Military Appreciation Week! Join us for the Community Leaders' Breakfast on Wednesday, November 12 from 7-9 a.m. at John A. Logan in Carterville. The Marion Chamber of Commerce has reserved a table at the event. If you would like to sit at the Marion Chamber of Commerce table, seats are $15, payable to the Marion Chamber. RSVP is required and seats are filling up fast! Visit the tasting room this Friday, November 14th - Sunday, November 16th to experience the debut of Chef Anne's new lunch menu. Enjoy an array of appetizers, entrees, and desserts utilizing locally sourced ingrediants. Join us this Friday, November 14th, as we host another Art Reception. Join us as we take in the many different art mediums on display from a myriad of local talented artists. The Illinois Small Business Development Center at Southern Illinois University Carbondale will celebrate three decades of assisting approximately 6,500 clients with new or growing businesses with a special event from 3 to 6 p.m. on Nov. 14. Now in Effect - Illinois' Medical Marijuana legislation and Illinois' Firearm Concealed Carry - Don't miss this seminar that will cover what this new legislation means for Illinois employers! Rick Richert, Chairman of the Board of the Marion Chamber of Commerce, announced today that nominations are being accepted for the Chamber’s Annual Awards for Distinguished Member, Citizen of the Year, Lifetime Achievement, and Young Professional Leadership. 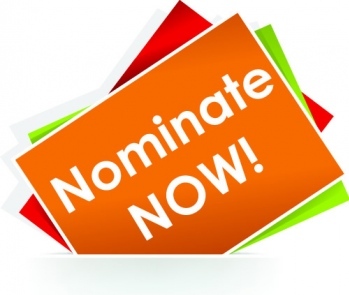 To nominate an individual, please visit the Marion Chamber of Commerce’s Web site (marionillinois.com) to fill out an Annual Awards Nomination Form, visit this link, or call or visit the Marion Chamber of Commerce office to receive the nomination form. All nomination forms must be received by 4:30 p.m. on November 18, 2014. 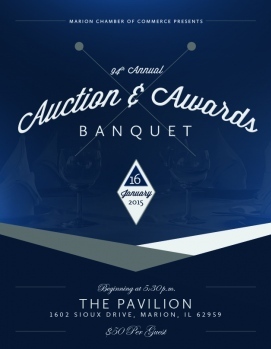 Awards will be presented at the Marion Chamber of Commerce’s 94th Annual Auction and Awards Banquet on Friday, January 16, 2015, at the Pavilion of the City of Marion. We are now an Authorized Keurig Dealer! As an official authorized dealer of all Keurig products, we will provide you with great pricing and free next day delivery! Peoples National Bank is proud to welcome Tracey Glenn to our team. The Illinois Chamber of Commerce's Annual Paid Holiday Survey will only be available for 4 more days. It only takes 5 minutes to complete the survey. Remember, many employers in Illinois use the results of this very important traditional survey to set their calendars for the next year. Please feel free to forward this to any colleagues who may want to participate in the survey. We appreciate your time, and if you have any questions or comments, please let us know. If you have already answered the survey, we thank you for your time. Thank you for your participation in this very important survey. Employers in Illinois appreciate your time and efforts in helping make the decisions for holidays for 2015.